"Success for All Through Hard Work & Harmony"
The Academy reopens Monday 29 April at the normal time. Ofsted confirms that Hamstead Hall Academy 'continues to be good.' Read the full report here. The Year 11 Exam Timetable is now available. 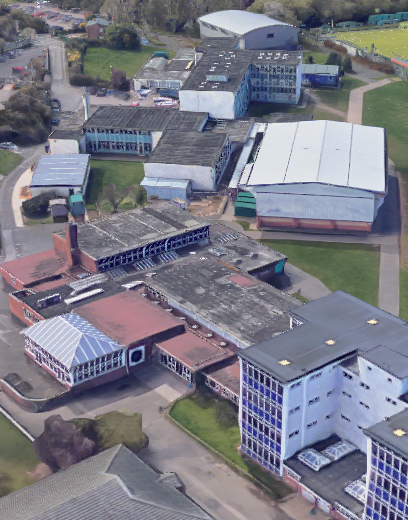 We are a dynamic Academy located in Handsworth Wood which caters for 1100 students. Our mission statement “Success for all through hard work and harmony” is all about achievement, inclusion and a positive attitude to work and each other. Academy reopens at the normal time. At Hamstead Hall Academy, we have a deep commitment to maximise our students’ potential. It is our aim to ensure that all students enjoy their education, achieve through it and participate in a variety of stimulating learning activities and opportunities. Click the subjects below to learn more. English is fundamental to success and is the key to all learning. It is the subject that enables pupils to gain access to all other subjects. It is the subject that enables pupils to make sense of the world around them. It is the subject that enables pupils to form opinions and express them effectively. English teaches pupils empathy and compassion and it teaches pupils to be more tolerant and accepting of others’ viewpoints. English can offer pupils the opportunity to visit different places around the world and travel through various time periods; meet a variety of people and engage with a diverse range of experiences. And we do all this without leaving the classroom. English is simply amazing. At Hamstead Hall Academy our science curriculum aims to engage with learners of all abilities. In KS3 for example, the curriculum is based on the award-winning learning solution ‘Smart Science’ but this is adapted to suit the needs of Hamstead Hall learners. Through it we aim to provide memorable learning experiences that challenge students of all abilities and develop transferable personal learning and thinking skills that develop students as learners. Topics covered in KS3 include cells, separation, forces, atoms, reactions, electricity, diet, acids and alkalis, energy, waves, photosynthesis, reactions and reproduction. Our GCSE course runs for three years and our students start this in year 9! Mathematics is the language of science and engineering, and an intellectual field in its own right. It is a discipline that is forever opening up to us, revealing new and fascinating truths and ideas, and helping to expand upon our knowledge in all directions. It is the study of quantity, structure, space and change. As abstract as that may seem, mathematics is, at its core, a quest for absolutes, definitive solutions and answers. We may think of long numeric chains, seas of fractions or spreadsheets stacked with figures, but what many don't realize is that mathematical complex equations are in fact roads to simplicity. Believers in better, faster, smarter solutions are often drawn to mathematics. In Mathematics we aim to teach students the computational, analytical and structural thinking skills and to help them acquire a high level of competence in problem solving as they are in considerable demand in a wide variety of areas of employment. Many people believe mathematical talent to be something that is inherited or are born with. The latest research disproves this myth that surrounded our society for centuries. Natural ability in mathematics only gets you so far. Hard work and good study habits are far more valuable. It is because of this belief that our Year 7 students embark on a 3 week course called “Weeks of Inspirational Maths” by Professor Jo Boaler from the University of Stanford in the US that share the core principles and values of our school. Drama is a growing part of the school curriculum at Hamstead Hall with lessons delivered to KS3 students once every 2 weeks. These lessons are designed to develop skills in working effectively with others as well as teaching performance and communication skills. Drama is taught and assessed in three disciplines, creating, performing and evaluating. This is to enable students to gain a full range of drama and life skills and build a foundation for their Drama study at Key Stage 3. Assessments will be conducted on a term by term basis with development, performance and evaluation as key indicators of progress. An end of year report will take into account progress made throughout the year in all practical lessons. The units cover a wide range of themes and drama skills such as using script, exploring themes and issues, devising, role play, character development, confidence building and team work. The art staff cover the specialisms of Drawing and Painting, Graphics, Textiles, Sculpture and Ceramics. The art department consists of two studios and a computer room. We’re open most lunchtimes for those students wishing to do more art work. When students start at Hamstead Hall they’ll begin by looking at Colour through the work of various 19th and 20th century artists. Then they will explore pattern through the work of Asian and Islamic cultural artefacts before moving on to line art through the work of Konrad Gesner. Pupils produce coursework (a portfolio) throughout Years 10 and 11, which must demonstrate their ability to respond to a stimulus, develop ideas and experiment with a broad range of processes, techniques and materials. Throughout the course, pupils will be given the opportunity to work in a wide variety of art media including paint, print, textiles and clay. Photography and drawing are also essential skills that pupils will develop over the duration of the course. At Hamstead Hall Academy, we believe that Music helps pupils to become successful learners through the development of independence and creativity. Throughout their time here students will be given the opportunity to grow in confidence as they perform, compose, listen to and evaluate their own and others’ work. Music at Hamstead Hall Academy instils creative thought and provides students with a varied and inclusive approach to becoming the musicians they want to be. During their time at Hamstead Hall Academy, pupils are given the opportunity to showcase their musical talents and perform at various annual concerts such as Black history month, Christmas and Vaisakhi. Pupils also have the exciting opportunity to be a part of the whole school Musicals we put on together with the Drama department. Past Musicals include Grease, Little shop of horrors, We will rock you and Bugsy Malone. All students are able to enjoy their learning, making progress whilst developing their functional skills through the clear links made to literacy, numeracy and ICT in each project. A fully equipped iMac suite enables pupils to develop their music technology skills as well as their general musicianship. We study a wide variety of eras and topics in History at Hamstead Hall from an in-depth study on Germany from 1925-1965 to migration in Britain from 1000 – 2010. We hope that students will gain a new appreciation and love of history. Religious Education, the content and assessments are designed to start developing GCSE skills from year 7. This means pupils study Christianity and Sikhism in year 7 as these are the two religions studied in GCSE RE. Each religion focuses on the key beliefs and practices so that a well rounded understanding can be attained. The benefits of picking RE include acquiring skills to use in higher education, learning to balance an argument and becoming able to understand people in a multicultural society. Geography is part of our everyday lives, so come and discover the world around you. The world in which we live is likely to change more in the next 50 years than it has ever done before. Geography explains why, and helps to prepare you for those changes. At Hamstead Hall students will study the new and updated Geography key themes including Natural Hazards, Rivers & Coasts, and Ecosystems. They’ll explore challenges in the human environment and urban issues and the changing economic world. The BITE Faculty has developed a new, tailored Curriculum, which provides everything our students need to help improve their life chances. This programme of study, which reflects the transition to computing in the National Curriculum, will incorporate Computing, ICT and Enterprise elements. This scheme of work is relevant to the modern student, as well as challenging. It will provide our students with a strong foundation for further study at GCSE and beyond in areas like ICT and Computer Science. Our new curriculum will provide topics that are fun and engaging for all our students. It has been introduced to raise standards of learning and develop a breadth and depth of skills, knowledge and understanding needed by our learners throughout their time at the Academy. This will provide our learners with a bigger picture of how technology has and can develop or have an impact on their lives. There will also be exciting opportunities to learn how to use and apply computer-programming languages to develop games. Students will learn how to use Small Basic and Kodu. At the end of Key Stage 3, we will prepare students for Year 10 courses related to ICT and Computer Science. The aim is to give them experience using a more independent style of learning, opportunities to learning, opportunities to learn an additional programming language such as Python, to solve a variety of computational problems and to teach them the necessary skills that will facilitate their smooth transition onto KS4 courses. At Hamstead Hall Academy, we take Languages very seriously. From Ancient to Modern Languages, we pride ourselves in offering as broad a choice as possible. French, Spanish and Panjabi are the three main Modern Foreign Languages we offer. These can be taken up to A-level. Mandarin Chinese is also available as an enrichment activity. Latin is also offered from Year 7 for selected students (approximately 60 pupils every year) and can be taken up to GCSE. Our latest offer is Ancient Greek, which students can learn in a weekly club. Our team is very enthusiastic and firmly believe languages really do matter and really do make a difference in a student’s future. Physical Education at Hamstead Hall follows the national curriculum for physical education. Sports covered include Orienteering, Badminton, Football, Rugby, Netball/Basketball, Trampolining, Hockey, Table Tennis, Health Related Exercise, Dance, Handball and Gaelic Football. The department feels it is essential for all pupils to learn the necessary skills in Graphics, which will enable the pupils to sketch or draw for their design process. Workshops are fundamental elements of making products in Resistant Materials or and pupils need to appreciate the importance of safety. The pupils are made aware of safety rules and policy within Technology department areas. The department believes that pupils should have a finished product at the end of each module and be able to take their projects home. Products should be of a high quality, engaging and functional. Expectations from our pupils are very high. In the making module, pupils should spend most of their lessons making in the workshops, which is experiencing tools and equipment with the application and processes. Hamstead Hall Academy is committed to providing an appropriate and high quality education for all young people living in our local area. We believe that all young people, including those identified as having special educational needs (SEN), have a common entitlement to a broad and balanced academic and social curriculum, which is accessible to them, and to be fully included in all aspects of academy life.